Muddy Urbanism is an ongoing urban research project focussed on the future of the Te Whau river and neighbourhoods in Tamaki Makaurau Auckland. 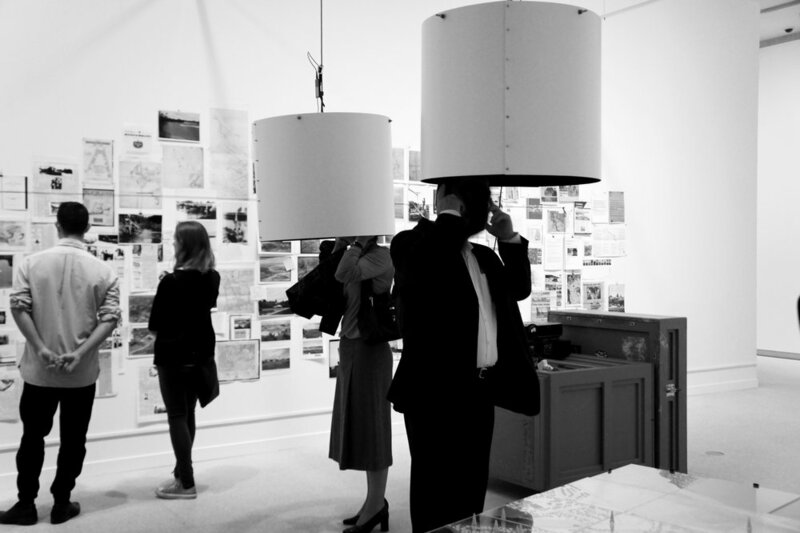 Led by HOOP-LA and involving students from the University of Auckland, guests and independent researchers, Muddy Urbanism was initiated for The LAB at “If You Were To Live Here…” during the 5th Auckland Triennial. Te Whau River bisects the inner west of Tamaki Makaurau Auckland. Historically it provided a portage connecting two harbours and permitting movement between the east and west coasts. Te Whau provided a natural infrastructure of food, connection and economic production for iwi. In the colonial economy, the river played a crucial role in the urbanisation of Auckland, as both a transport route and as a source of clay. Bounded by the Rosebank Peninsula and the suburbs of Avondale, New Lynn and Kelston, the river also drained away by-product materials from factories on the riverbanks. In latter decades Te Whau, like many other waterways, has lost this ‘mobilising’ significance. Superseded by rail then road, for much of the recent past the river has inscribed the boundary between municipalities, where it became the site of conflicting jurisdictional, economic, land-use and natural systems. With municipal boundary changes in 2010, the river is now sits at the geographical centre of the Whau Local Board area, and this new local authority has started to embrace the opportunities a re-connection with the waterway might offer. The Muddy Urbanism research has produced an archive and a series of speculative urban proposals, leveraging the powerful nature of utopian thought in imagining possible futures for this river and its neighbourhoods. The Muddy Urbanism research has been widely exhibited and published, circulating these speculative proposals with the anticipation that these might enter the public imagination. This has been a fruitful strategy with the proposal for a river-side linear park taking hold, and now a project in the first stages of construction as Te Whau Pathway. 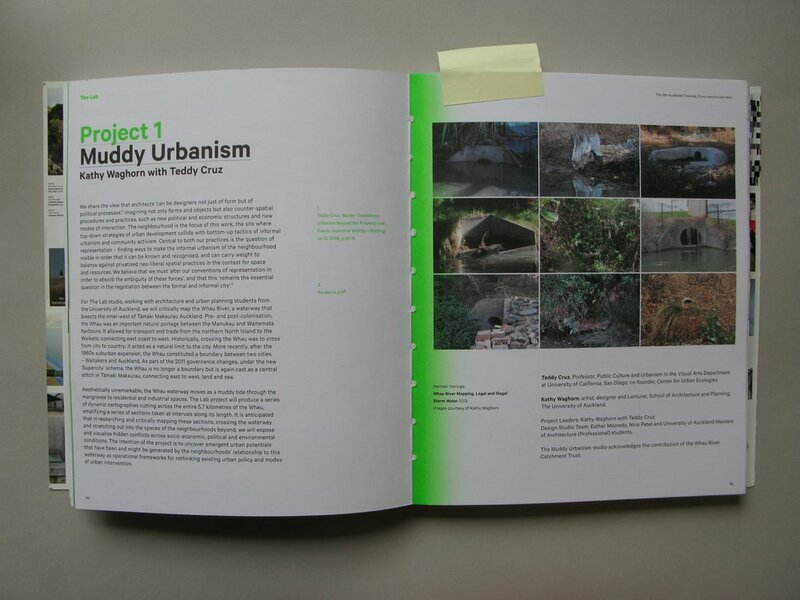 In 2014 the Muddy Urbanism research was exhibited in Los Angeles, where HOOP-LA connected with similar groups working on the rehabilitation of the Los Angeles River. Students: Herman Haringa, Raimana Jones, Chia Venn Khoo, Sophia Whoi Seung Kim, Antonia Lapwood, Zee Shake Lee, Steven Lin, Vinni Paget, Hannah Ryan, Angela Yoo, Jennifer Qiu and Jullita Lam. The Muddy Urbanism book, edited by Kathy Waghorn, designed by Zee Shake Lee and published by the University of Auckland is available to purchase online and through Auckland libraries. The Lab book, edited by Kathy Waghorn and designed by Index is available from Index.